The arrest of political and social media activist Hasnain Ramal on Tuesday 8 August 2017 has triggered an outcry from human rights organizations in the region. Among others, the Gilgit-Baltistan Thinkers Forum (GBTF) denounced Ramal’s unfair detention by Pakistani Security Services. Hasnain Ramal actively campaigned for his people’s political, social and economic rights and against Islamabad’s forceful and repressive occupation of Gilgit-Baltistan. By doing so, Pakistan proves once again its willingness to repress human rights peaceful activists and to silence the people of Gilgit-Baltistan. Several organisations, including the Gilgit-Baltistan Thinkers Forum (GBTF), have strongly condemned the arrest of Hasnain Ramal, a social media and political activist from the Hunza valley in Gilgit-Baltistan. Hasnain, who was raising his voice for the granting of political and economic rights of the people of Gilgit-Baltistan, was arrested under Schedule 4 of Pakistan's Anti-Terrorism Act. Raising concern over the arrest of an activist from Gilgit-Baltistan under Pakistan rule, the GBTF statement said, GBTF strongly condemn the unlawful arrest of Hasnain Ramal, a brave social media and political activist, under Pakistani Draconian laws in Gilgit-Baltistan. He was one of the moving spirits of Gilgit-Baltistan Awami Action Committee and a staunch supporter and worker of Gilgit-Baltistan Awami Action Tehreek. Hasnain was running a social media campaign against Pakistan’s forceful occupation of Gilgit-Baltistan. In one of his Facebook posts he wrote, Pakistan is not good for any country and it has done no good to the United States. It is not good for the people of Kashmir. You occupy one-third of Kashmir and an occupier cannot be a friend of Kashmir on the other side. 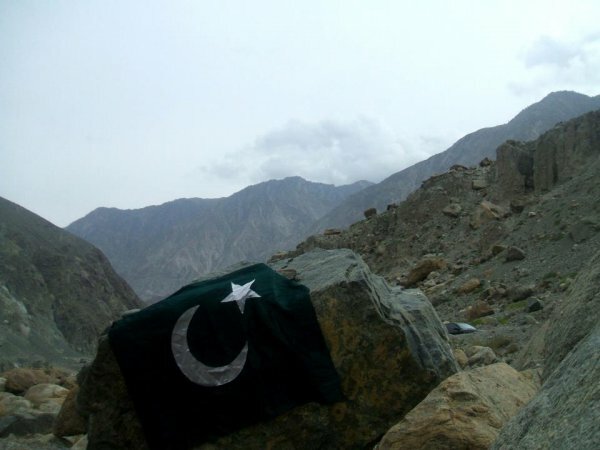 You (Pakistan) have been exploiting the resources in Gilgit-Baltistan. The Chairman of Gilgit-Baltistan Thinkers Forum, Khan Wajahat, told ANI, his only sin was that he wanted genuine political and economic rights for disputed Gilgit-Baltistan i.e., local authority government as per UNCIP Resolution to be formed in North of Cease Fire Line in GB and to fully enforce State Subject Rule in Gilgit Baltistan. He was also demanding to free all political prisoners of Gilgit-Baltistan. Many prominent political leaders in Gilgit Baltistan are now behind bars. They include Baba Jan, Iftikhar, Dee Jay Mathal, Qayum Balawar, Safdar Ali, Mehbob Advocate, Sannaullah, Quwat khan, Inayat Karim, Majidullah and others. Political activists from Azad Kashmir a.k.a. Pakistan occupied Kashmir have also condemned the arrest of Hasnain Ramal. Jamil Maqsood, Former Central Secretary of United Kashmir People’s National Party (UKPNP), said, We are always on the forefront to condemn such sheer human rights violations in Gilgit-Baltistan and Pakistan occupied Kashmir. We have always demanded Government of Pakistan to refrain from abusing fundamental freedoms of the people under its temporary administration." The activists call this an attempt by Pakistan’s state agencies to demolish the peaceful political and social struggle for basic human rights in Gilgit-Baltistan.